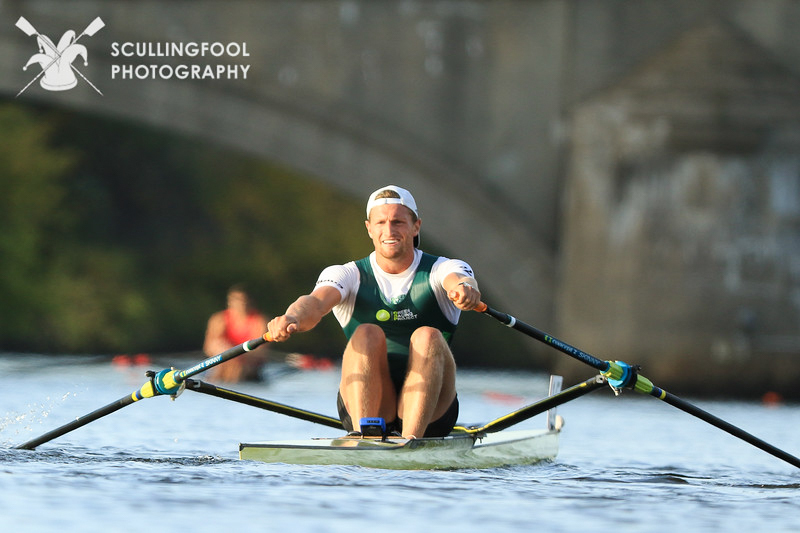 Wes Vear, professional rower and Olympic hopeful, boasts an impressive athletic and academic résumé. While training this past summer at the Craftsbury Outdoor Center in northern Vermont, Wes started incorporating FlavaMix Unsweetened Drinking Chocolate into his rigorous training routine and he’s been hooked ever since. 1. Please give us a bit of background about you and your athletic career. I grew up in the Upper Peninsula of Michigan doing anything outdoors that I could manage to fit in my schedule. During high school I started swimming and a few years later when I headed to the University of Michigan for undergrad I wanted to keep swimming but I was nowhere near fast enough for their National Championship winning team. So, after running into the University of Michigan Men’s Rowing Team in the middle of campus during one of our annual recruiting events, they convinced me to go try out rowing for a couple practices with the promise of being able to compete for a national title as a walk-on freshman. After one afternoon, I was hooked. I quickly drank the cool-aid and started putting in extra workouts on my own and committed more and more of myself to the Team. Eventually, I was selected to race for the US at the World University Games in South Korea after my senior year. Our eight-man boat won a gold medal for the US for the first time at the University Games and after that I was then hooked on international racing. 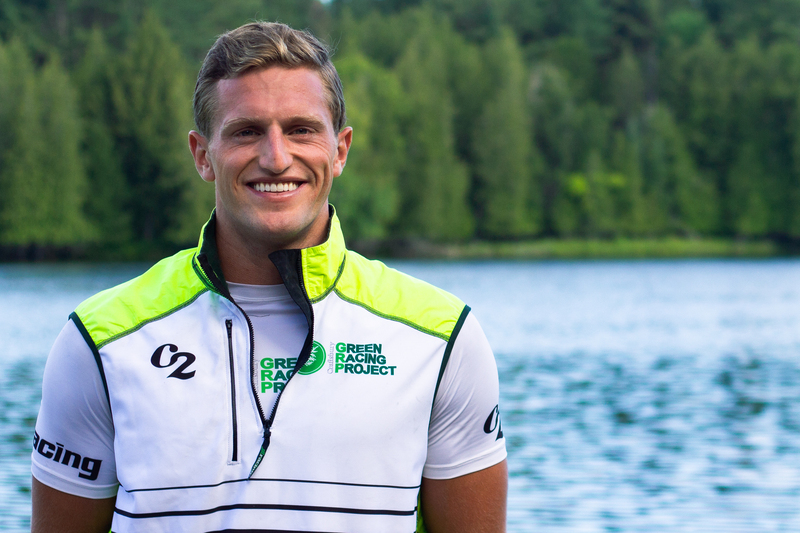 After graduating, I headed out East to the Craftsbury Outdoor Center to continue training full time with their Green Racing Project which supports athletes training for the National and Olympic Teams in rowing, cross country skiing, and biathlon. On the GRP, I’ve been training with the goal of making the US Senior National team and racing at World Championships. This past summer, my boatmate and I won US Trials to race at the Pan American Games in the Men’s Double Sculls. We then raced in Rio de Janeiro in November at the qualification regatta and qualified to race at the Pan Am Games next summer in Lima, Peru. 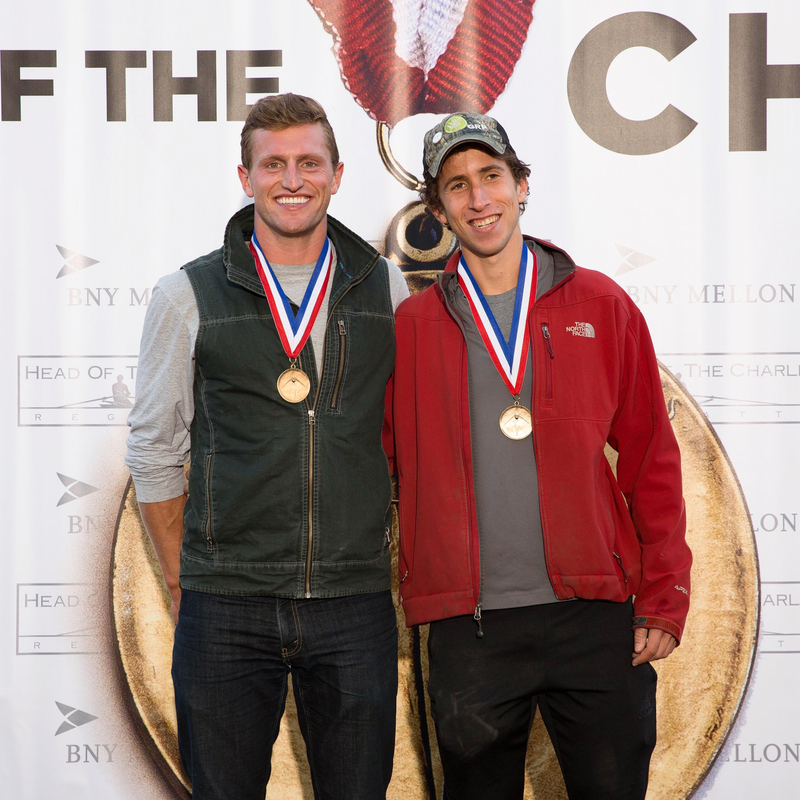 We also won the Men’s Championship Double at the Head of the Charles this past October. During the summer at the Center here, our training consists mostly of rowing with some cycling and running here and there as cross training and then during the winter we do a decent amount of erging with a lot of cross country skiing as well. So lots and lots of aerobic work. 2. What is your general nutrition philosophy and how do you fuel your athletic performance? I tend to be very skeptical about nutritional claims unless they’re backed by significant amounts of data. I double majored in chemistry and economics with pre-med classes in undergrad which are obviously all very data driven in making claims about research results. Those classes, plus my background in inorganic chemistry research, have taught me to be very thorough in how I read new claims about nutrition research. Based on everything I’ve learned from nutrition experts and my own reading, I usually go for an “everything in moderation” approach with a healthy serving of making sure I get good ratios of protein and carbs to keep me fueled, healthy, and repairing muscles efficiently after all the training that we do. We’re very lucky at the Craftsbury Outdoor Center that a majority of our food served in our dining hall is locally sourced, very healthy in how its prepared, and absolutely delicious. The food we have available lets me make sure I get plenty of protein, lots of veggies, and complex carbs. Though don’t get me wrong, I love a giant bowl of Ben and Jerry’s Americone Dream every now and then (especially since it’s made 45 minutes away from us here in Vermont). Gotta make sure you’re still enjoying yourself when you’re so concentrated on treating your body well. 3. What is the most important part of your recovery routine? Sleep. It took me a couple years of training on our team at Michigan to realize just how important getting enough sleep is for everyone, but especially athletes. If you aren’t getting enough sleep after spending so much time training every day, you’re just shooting yourself in the foot if you’re trying to maximize your body’s ability to perform. So I make sure to get at least eight hours of sleep every night, though I try to shoot closer to nine hours. It’s definitely tough though to be disciplined enough to give yourself that amount of time each night. I saw my biggest jumps in performance in college once I started prioritizing sleep and making sure that I was getting full recovery as much as I possibly could. At the very least, getting lots of sleep makes it just so much more fun to wake up and head to practice. Doing anything while you’re tired isn’t nearly as much fun as when you’re ready to crush it every day. I wake up every morning absolutely stoked for the day’s training that lays ahead. 4. Tell us a bit about your experience with FlavaNaturals products and cocoa flavanols – did you notice a difference in your training/daily life? I’ve had FlavaNaturals almost every morning since June (I think there have been three or four days where I slept a bit later than I should have and had to run out the door without getting a chance to get my daily dosage of flavanols). I can’t point directly to seeing a major difference in my performance once I started having flavanols every morning, but I can definitely tell you that this summer and fall have been the best and most productive periods of training that I’ve ever had. I set a personal record on the ergometer (rowing machine) in August when our team tested and have only been improving since then so I’m super excited to race on the ergometer down at CRASH B’s in February when Flavanaturals will be in the vendor section. When I started taking FlavaNaturals products, I made sure to read all the primary research literature I could find about the effects of flavanols and I have to assume that some of my gains in performance this year have stemmed from the vasodilation effects of the Nitrous Oxide production from the flavanols just like beet juice. While the research is still fairly new with flavanols and athletic performance, that was a super fun way to learn about a well known method of improving physical performance and I’m excited to see the results of future research with cocoa flavanols. 5. How do you typically consume FlavaMix? Recently I’ve become a big fan of setting up some overnight oats in a mason jar before bed. Then in the morning I toss in a giant scoop of peanut butter (creamy, of course), some honey to give it a bit of sweetness and to add in some simple carbs for the morning’s training, and then a packet of FlavaMix. I will argue vehemently that Reese’s Cups are the best candy out there, so my pre-workout breakfast is basically just an excuse to have a healthy giant Reese’s cup in the morning. I haven’t gotten a chance to try out the bulk containers of FlavaMix yet but I’m super excited to try that out. I’ve also done lots of bowls full of yogurt, granola, peanut butter (obviously), and FlavaMix or tossing in a packet into one of my giant smoothies that I love making.